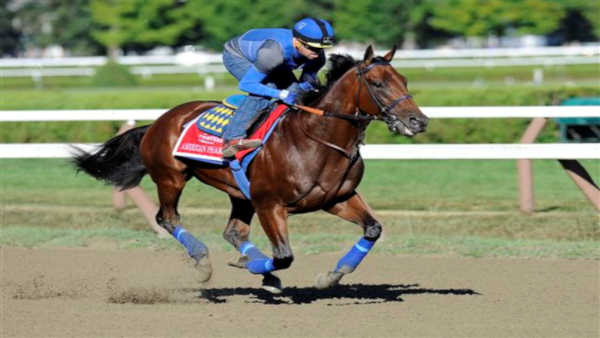 SARATOGA SPRINGS, N.Y. -- Triple Crown winner American Pharoah has been beaten, losing to Keen Ice in the $1.6 million Travers Stakes before a stunned crowd Saturday at Saratoga Race Course. American Pharoah came into the race as the overwhelming favorite, but lost the lead entering the far turn and just didn't have the energy to catch Keen Ice. The upset solidified Saratoga's reputation as the "Graveyard of Favorites." Only one of 12 Triple Crown winners has been able to go on and win the Travers. Keen Ice, trained by Dale Romans and ridden by Javier Castellano, won by three-quarters of a length. American Pharoah, the first Triple Crown winner in 37 years, had won eight straight races coming into the Travers, including the Haskell Invitational on Aug. 2.